As of this writing, it has been 682 days since Apple last refreshed the Mac Pro line. To many this is unsurprising. It is at the highest end of the Apple performance and cost spectrum, and provides an amount of power that most would find superfluous. Indeed, with the coming of age of the MacBook line, and the ubiquity of Apple in mobile, only a minority would ever require the power of a Mac Pro, or even that of the iMac. design and performance, but also a group of professionals, digital content producers of all types, who were dedicated to Apple and required top of the line hardware to complete their jobs and earn their living. And when you use a great tool to earn your living, you grow to love it. 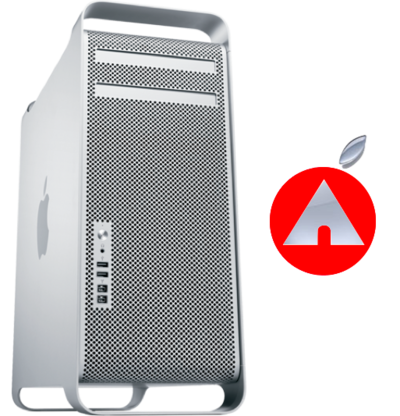 But in the years since, Apple products have become mainstream, and with an increasing emphasis on mobile and the average consumer, rumbles of the Mac Pro line coming to the end are starting to surface. And since the majority of Apple’s economic success is due to its mobile devices, it might seem to be a good idea to drop the desktop lines altogether and focus on mobile. That would be a huge mistake. Malcolm Gladwell details a company that closely parallels Apple in the novel The Tipping Point. In the 1990’s, there was a shoe company called Airwalk, and it specialized in skateboarding shoes. The company was a $13 million dollars a year business. This was fine, but Airwalk was ambitious. They did not want to just be the skateboard shoe, they wanted the be the alternative sports shoe that everyone wore. They made new shoes. They invested heavily in marketing. They sponsored athletes. They made funny, catchy commercials. And eventually, it started to pay off. In 1994, the business had sales of $44 million dollars. Only one year later, sales had soared to $150 million. The small boutique brand had grown into a mainstream phenomenon. Airwalk seemed poised to become the next Nike. But then something happened. Sales began to shrink, revenue dropped, and before long the brand was a shadow of what it had just recently been. How could a shoe flying so high come crashing down so quickly? Airwalk had a group of users who were fiercely loyal to the brand. These weren’t just an ordinary group of users, they were influencers, the ones who were involved in a particular subculture, who set the trends and evangelized to others. Unbeknownst to Airwalk, this passionate user base was a key component of the brand’s mainstream success as well. The same is true for Apple. For many years Apple relied on a very loyal group of entrenched users and professionals who relied heavily on their high-end products. In the same way that Airwalk was propelled by word of mouth, Apple has been as well. But as the company has become more prominent and successful in the mainstream with mobile, the more specialized consumer has been increasingly neglected. The number of days between updates has grown considerably the past four years: 279 in 2008, 420 in 2009, 511 in 2010, and now 682 days have elapsed since the last update. However, the immediate outlook is not so gloomy as the numbers would indicate. Reports indicate that the line is undergoing stock shortages, and new part numbers are also being uncovered. This is good news, to be sure. But these reports – if valid – only pertain to the succeeding generation, and offer no guarantees to the longevity of the line. If Apple were to abandon the Pro market by shutting down the Mac Pro, and possibly even the iMac, and only focus on their most successful products, it would be a mistake. They would be losing their most passionate users, leaving them free to fall in love with and preach another brand. For much of its history, the champions of Apple have resided in a relatively small subculture. Now that Apple is atop the heap, its focus is now more than ever on the mass market. But it shouldn’t be that way. I don’t mean to say that by not updating the Mac Pro or iMac lines that apple is certainly doomed, but there is wisdom is keeping the most dedicated and passionate users happy.